Skinny guys often have a misconception that they won’t ever be able to put on any substantial muscle mass. Labeled as “hard gainers” they blame their lack of results on genetics. Yet time and again people have proved these skeptics wrong. I’m living proof that, with possibly the worst genetics for building mass, yet I was able to build head turning muscle and become one of the most respected “go to” guys at my local gym. Being a skinny weakling (ectomorph) might mean you can’t become overly muscular or put on mass as fast as other genetically gifted guys (mesomorph), naturally at least. 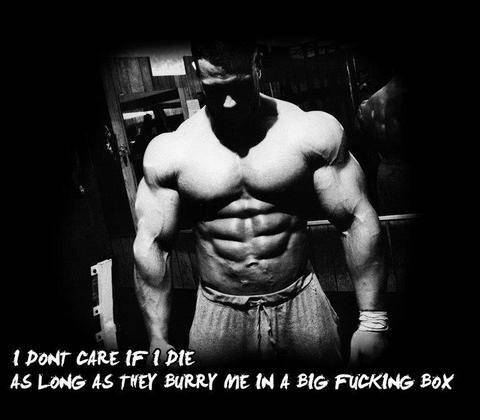 But that doesn’t mean you can’t put on a good amount of lean muscle mass in a reasonable time! Today, I’ll take you through a detailed guide to help you transform that skinny frame from mini to muscular. Steer clear of programs that promise you change in 15 days, 30 days or even 60 days. I’m not saying you will not see changes in that time-frame, but if you would like to see a significant change in your body, you’ll need a minimum of 3-4 months. Sorry if you’ve bought into the hype that you can somehow magically add massive amounts of mass in just a few weeks, it’s not going to happen. However, all I want from your end is dedication for the next 6 months to see great results. Deal? Now let’s get started. For those of you that don’t know, there are primarily three body types that exist. You, the skinny guy, fall under the ectomorph category. Characteristically ectomorphs have thin and long bones, less fat and find it hard to put on fat or muscle. This, let me tell you is a good thing. 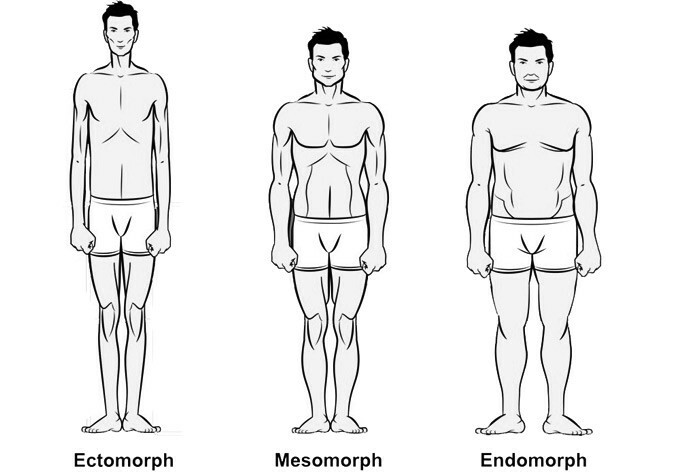 Endomorphs and mesomorphs (explained below) find it hard to burn off stubborn fat, especially in their lower belly and sides which alone can take months of strict dieting and cardio to shift. This is something you won’t have to struggle with if you happen to increase body fat to an unwanted level, because you’re blessed with a fast fat burning metabolism. That’s the good news, the bad news though is that your body doesn’t have the capability of putting on muscle as fast as the aforementioned body types can. Don’t fret though, with the right amount of hard work and dedication you’ll have the body of an athlete and if you work hard enough maybe even a little broader. Don’t expect to gain the size of a pro bodybuilder, unless you want to take extreme amounts of anabolic steroids, which I absolutely do not recommend. The key aspect of your program will be nutrition, which I’ll cover in detail later. You’ll have to eat double the number of calories that is recommended for the average guy/girl of your age in order to “feed” your muscles and help them grow. Poor nutrition is one of the main reasons skinny guys struggle to build muscle. The mesomorph body type which is the ideal body type for bodybuilding as they have large, broad frames, put on muscle easily, have strong and well defined muscle. They don’t have a metabolism rate as fast as yours, nor is their metabolism rate as slow as endomorphs. They do stack on fat more easily than ectomorphs (skinny people) but not as much as endomorphs. They can easily put on muscle mass as well when compared to ectomorphs and endomorphs. An endomorph on the other hand has the hardest of all the body types to work with. They have small frames, not much lean muscle mass, slow metabolism rates and put on fat very easily. They find it difficult to build muscle and burn fat. And here you thought your skinny ectomorph genetics were bad news. There are two primary components of a successful workout program, one being your workout routine of course and the other being your food intake. For skinny guys to build muscle they need to lift heavy and make every set count, there’s no room for half assed lifting. You need to fight for every pound of muscle. Lifting heavy weights does not mean you go and pick up a 60lb dumbbell for a chest press on the first day at the gym. Lifting heavy weights is subjective, what is heavy for you might not be heavy for bodybuilder Phil Heath (Mr. Olympia 2011-12). You need to lift weights that are heavy enough where you reach muscular failure around the 8 – 12 repetition mark, or 75% of your one rep max. 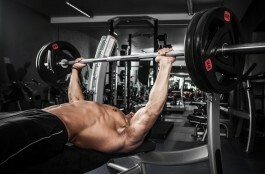 You don’t want to be doing light weights with very high reps because this kind of lifting will not stimulate growth. The ideal number of repetitions would be 8 – 12 reps (repetitions) to build muscle mass. 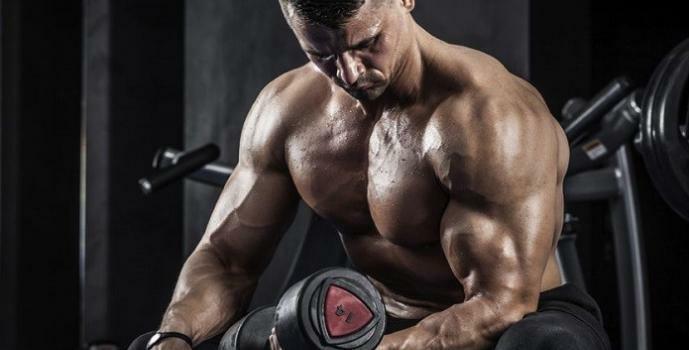 It doesn’t mean you won’t build muscle performing 7 or 13 reps, but it’s widely accepted that the optimal range for muscle growth is in the 8 – 12 range, so this gives you a good target range to work within. Dedication and consistency is by far THE MOST important factor in achieving your muscle gaining goals. Make sure you hit the gym 4 days a week without fail. A good structure would be on Monday, Tuesday, Thursday and Friday and take the weekend off. People often undermine the importance of being regular to the gym, but from personal experience and from what I’ve learned over the years, it is the most critical element in your workout routine, being consistent. As a beginner, only after a few months of solid training would it be beneficial to take a week off. I’m going to give you a simple workout routine that you can follow to maximize your mass gaining goals. You workout for around 45 minutes on a training day, but your real workout is for the remaining 23 hours of the day when you’ve to manage your nutrition. Managing your nutrition is as important, if not more important than your workout. Eating right is vital because the right proportion of proteins, carbs and fat is essential in building muscle and providing you with energy for your workout. Without the correct macronutrients (proteins, carbs, fat) you simply will not grow, period! Proteins play the biggest role in muscle development in your body. It’s important that your body has a consistent supply of protein through the day (and night) in order for your muscles to grow optimally. You need to consume an adequate amount of calories ( at least 500+ over maintenance), as a skinny guy, this element can’t be neglected. Click Here to find out just how many calories you need and how to get them. You should be eat around 6 meals every day spaced 2 – 3 hours apart. Make sure each meal contains a portion of protein and healthy carbs. Below is an example of a days eating. Whey protein is by far the most popular bodybuilding supplement and would make a great addition to the nutrition plan of hard gainer. There are different grades of whey protein depending on their purity. Whey protein concentrate is a less pure form than whey protein isolate but it’s a good place for beginners to get started. The reason why protein supplements are taken even though you can get all your protein from your food is because of the fact that due to the purity of the protein it is absorbed quickly into the bloodstream offering faster recovery and prevents your muscles from breaking down. A great protein for you to consume would be Optimum Platinum Hydrobuilder. It includes a variety of proteins including whey concentrate, isolate, egg albumin and casein for a delayed release into your system. Along with that it also has creatine in its blend which provides you with that extra boost during your workout and also greatly helps in muscle recovery. Some of the other key ingredients include important BCAAs and Glutamine which are the building blocks of your muscles. While many people might suggest you to buy a mass gainer what would be ideal is to take a whey protein isolate and back that up with heavy and nutritious meals like I have suggested above. BCAAs, as they’re known, are the building blocks of the protein. They play a key role in the synthesis of protein in the body and not only help the rate of synthesis but also the cell’s capacity for protein synthesis. They also play a key role in reducing the rate of protein breakdown which prevents muscle breakdown. 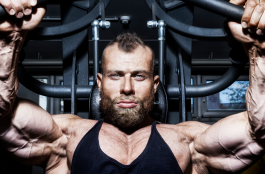 That’s a wrap on everything you should be doing as an ectomorph. There are three key ingredients to having a great physique, firstly the right workout, secondly the right nutrition and lastly dedication. If you can give me these three things for 6 months, I can guarantee you your physique and life will have turned on its head.